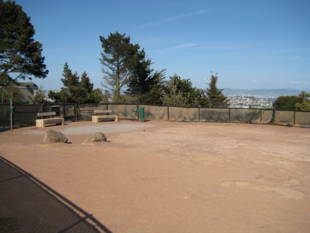 Renovated and reopened in 2002, Douglass Playground has an excellent hillside location complete with trees and rock outcroppings on two levels. 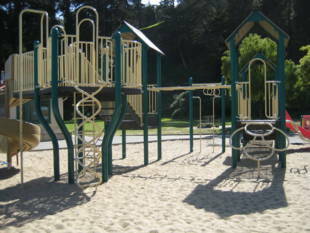 The lowest level includes a Clubhouse, children's play area, informal lawn areas and tennis courts. The upper level is heavily wooded and contains a baseball field. There are picnic tables, restrooms, and it is quite dog friendly! 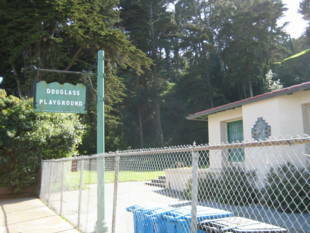 Douglass Playground is owned by the San Francisco Recreation and Park Department. 35-Eureka to Diamond and 26th St. Walk one block west to the park. If you're coming from downtown, take the K/L/M/T lines to the Castro station, go up to street level, and transfer to the 35 bus. 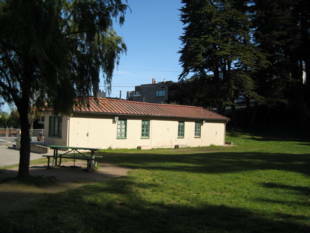 The park is also accessible from the 52-Excelsior line (inbound/Forest Hill station), from which you can walk to a secret entrance to the park at the end of Carnelian Way. Off-board the bus at 5157 Diamond Heights Blvd., and continue walking in the same direction to Carnelian Way. If you're on an outbound/Excelsior 52 bus, get off at Diamond Heights and Duncan, walk one block east to Douglass, then go left and head north on Douglass to 26th Street. 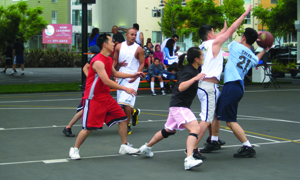 48-Quintara/24th Street -- 24th St. and Douglass stop, then walk two blocks south to 26th St.